Inbound marketing describes online marketing activities that bring the company to the attention of customers. High-value content produced by the company is an important part of this process. Inbound marketing is the opposite of outbound marketing, which simply aims to push out promotional messages to prospective customers. 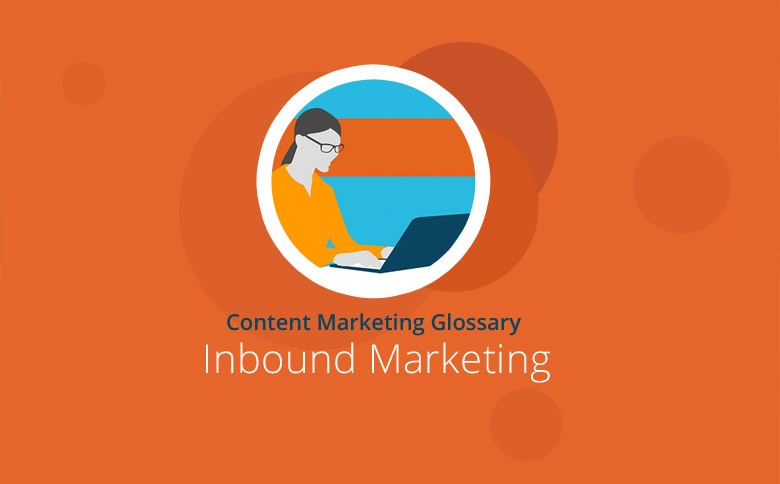 The definition of inbound marketing was heavily influenced by the founders of Hubspot marketing software. The Hubspot brand was launched by Brian Halligan and Dharmesh Shah in 2006. They had realized that many instruments of traditional advertising and direct marketing no longer worked. Increasing volumes of push marketing in the form of promotional mailings, banner advertising or telesales calls were failing to attract many users and producing so-called advertising blindness. Advertising messages in the online and offline sectors were becoming obscured and thus not achieving the desired effect. Rather than directly addressing prospective customers with advertising as in many classic marketing strategies, inbound marketing ensures that customers themselves become aware of the company. Inbound marketing is therefore a form of pull advertising in which the user discovers the company via helpful, high-quality content. As with outbound marketing, the ultimate goal of inbound marketing is a sale. However, inbound marketing first seeks to use content to attract the attention of the target group. This is followed by lead generation in the next phase, and these leads are then subsequently converted into sales. Inbound marketing has the further advantage that it provides a very natural way to create backlinks. In essence, inbound marketing encompasses all areas of online marketing that function as pull advertising, and in each case, the goal is the generation of leads via high-quality content. Content Marketing and Public Relations are also considered to be inbound marketing activities. Besides creating relevant content, it is equally important to maintain a relationship with relevant influencers in order to optimize content seeding. In addition, e-mail marketing, search engine advertising (Google AdWords) and search engine optimization, plus social media and customer relationship management, can all be regarded as inbound marketing. The attention of the audience is captured using relevant blog content that is carefully tailored to the respective enterprise. SEO content plays a significant role in this process. Through measures taken to improve rankings in search engines like Google, potential customers are able to find the company more easily. New site visitors are then converted into leads. The distribution of content via social media channels such as Facebook, Twitter and LinkedIn raises awareness of the company within the target audience. Well-crafted landing pages help to generate new leads and increase conversions. Personalized emails can attract interested users to the right content. Inbound marketing follows a multistage process with a sale as the final step. The inbound-marketing concept acknowledges the fact that the customer goes through different phases in the buying cycle and therefore has to be addressed differently at each point. At this stage it’s essential to attract the attention of users with useful content. Employing good keyword research will help to create content which will appeal to the user: for example, by solving a particular problem. Attraction is achieved by methods such as publishing relevant content on your blog and sharing content via social media. Now it’s important to use the content to convert visitors into leads. Your leads can be gathered using optimized forms, calls-to-action and carefully designed landing pages. Here, potential customers are encouraged to leave their contact details in exchange for free downloads such as e-books or white papers. Having attracted your visitors and generated leads, it’s time to turn them into sales. Leads can be addressed via personalized emails to achieve this purpose. To convert new customers into repeat customers, it’s important to actively work to retain them and keep them engaged. Enthusiastic, happy customers can become brand ambassadors. Many experts consider inbound marketing to be the real future of marketing. Unlike outbound marketing methods such as mass mailing and cold calling, inbound marketing primarily depends on the targeted provision of relevant content. Users are attracted to a company via useful, high-quality content and can then be converted into leads and sales. SEO is an extremely important part of inbound marketing because it enables potential customers to find the company when searching on Google and other platforms. Inbound marketing includes not only content marketing but also other online marketing activities such as search engine marketing, social media marketing and public relations (media and influencer relations).